This webinar will take place on Monday, September 4th 2017. 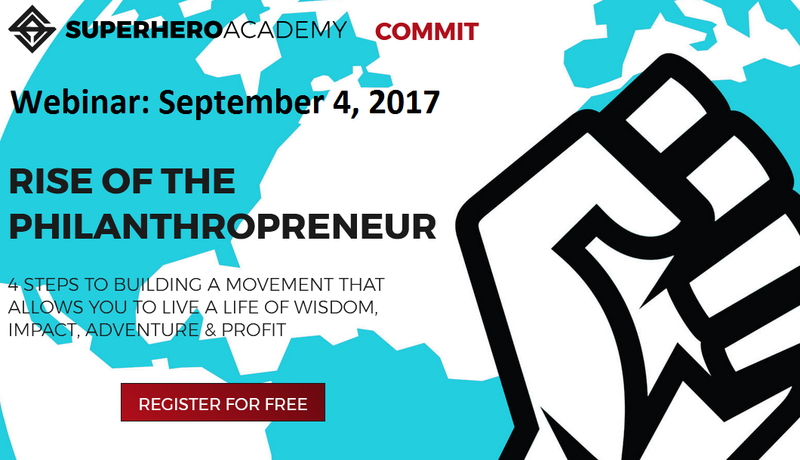 The webinar will explain a new kind of education that gives you the tools to be a philanthropreneur. This free online class is focused on impact the very thing that millennials are having trouble finding in the work environments of today. The class will also focus on building a movement that allows you to live a life of wisdom, adventure, and profit. This class is for people who are ready to take on the world’s biggest challenges and create a life where passion meets income. Walk a path where the ROI of Ripple of Impact is as important as the ROI of Return on Investment. This online school brings you through a 4 stage journey. Although there is no one path to success, it does leave some clues. No matter the cause they are tackling socially responsible organizations follow a 4 stage journey with multiple key facets it order to build momentum and make change. Although the teachers are young together they have decades of experience. Garrett Adkins Digital Strategist, Marc Angelo Coppola, Philanthropreneur Samantha Lotus, Lifestyle Alchemist. Mastery of your mission. More impact. More freedom. From the first session, you’ll find your limiting beliefs getting scorched into deathly submission as you catch the inner fire that’s been burning deep within, and pick up the mindset and marketing power ups needed to spread your message further.